I am sad that I could not attend the recent Community Leadership Lecture by Vail Resorts CEO Rob Katz. If, however, I am reading The Park Record report correctly, Mr Katz admits that the company did not pursue employee housing at the levels it should have, wages fell behind, and diversity efforts in the ski industry are behind. One definition of a CEO is to lead the development of the company’s short and long term strategy and to implement the company’s vision and mission. At best, Vail Park City has a small handful of employee housing units, yet I’d guess that they employ 1,000 or more seasonal workers. But who could have foreseen a shortage of employee housing? Who could have known that typical seasonal employees could not afford resort area housing on their wages? Who knew that skiing appears to be a sport “only for white people”? Mr. Katz did not envision any of this. Another duty of a CEO is to increase shareholder value. At this, Mr. Katz excels. 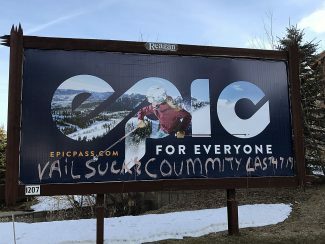 It was recently reported by KPCW that the net quarterly revenue of Vail Resorts was about $849 million, up 15.5 percent compared to the same quarter last year. I think we can clearly see the vision and mission of this company. Thank you, Park City, for the new lines in the Old Town Post Office parking lot! Now how can we do away with all the shuttles, and Lyft/Uber drivers who drop off and pick up there? You can’t get in, out or through when they clog the area. Our wonderful Christian Center of Park City (“CCPC”) is graciously inviting submissions from area residents to “name” our recently completed community event space. The CCPC exists to serve the community and every individual at their point of need. The naming contest will open on March 31 and will close on April 15. Located on the second floor of the newly renovated CCPC on Deer Valley Drive, our 2,500-square-foot event venue seats 208 people, boasts a state-of-the-art commercial kitchen, and offers magnificent mountain and historic Old Town views. As a social enterprise of the CCPC, the venue embraces a double bottom line: It establishes a premier event venue ideal for large events while generating revenue for CCPC’s critically important core programs and many community initiatives. Our Park City community means the world to us — we are asking for your support to help us name this important humanitarian venue. From Operation Hope to Back 2 School Basics, the CCPC works to serve every individual at their point of need. We clothe the homeless, feed the hungry, and provide assistance to the mentally challenged. No one is turned away. Community input is critically important to us. Please submit up to three event venue name choices via email, along with the subject line: CCPC EVENT VENUE NAME, to eventcoordinator@ccofpc.org through April 15. The winner will be announced by April 22, and will receive a $200 gift certificate to CCPC’s fabulous clothing boutique, along with well-earned bragging rights. We are truly grateful for the community’s ongoing recognition and support of the CCPC — please help us create a lasting legacy. 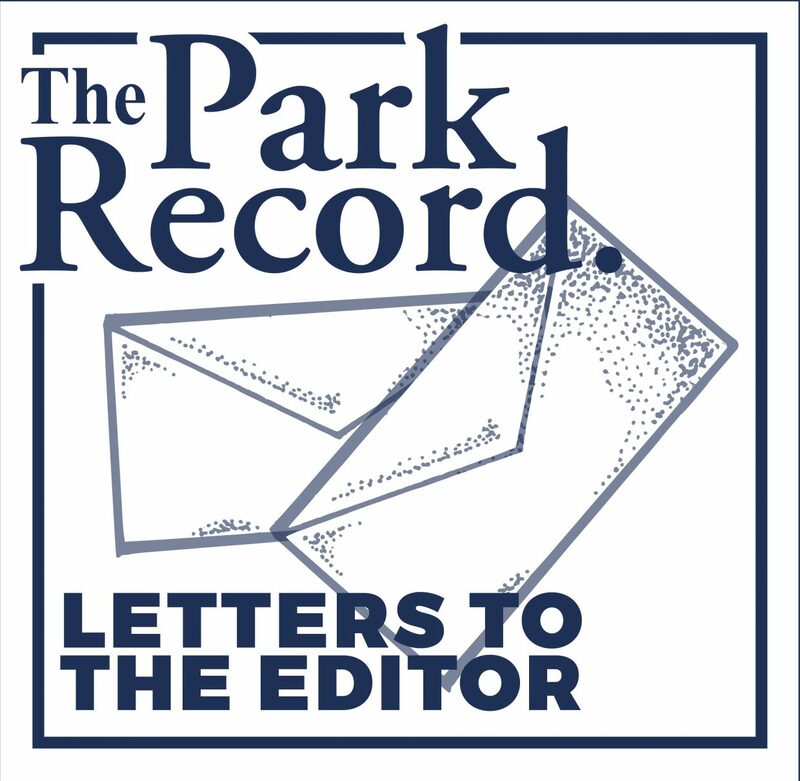 This week, at the Jeremy Ranch Owners Association (JROA) annual budget meeting, Summit County representatives were invited to present the plans for the soon to commence Jeremy Ranch and Pinebrook Roundabouts. The presentation was greatly appreciated. When complete, these two roundabouts will be quite impressive and I applaud the forward thinking that is evident in the ambitious project. And while there will be some six to seven months of disruption, the end result should be worth it. But there is one major concern. The current plan does NOT include an underground pathway across Homestead Road from Rasmussen Road. For those who know the intersection, it is the only way Jeremy Ranch Elementary School students can get from the southwest side of Jeremy Ranch to school, and there are quite a number of children who walk or ride their bikes twice daily. Today at least there is a stop sign. Once complete there will not be. There will be a crosswalk, but it will be over multiple lanes … and with a downhill approach from Jeremy Ranch. And it is our kids. Note that the plans already include several underpasses, but not the one that is most important. This omission needs to be corrected now … it just has to be added to the initial plan! It’s official. The Summit Land Conservancy has raised the $17.8 million necessary to save the Osguthorpe Farm on Old Ranch Road. Just a few days ago we were facing a very different outcome. We did not know who would step up to help us find the final dollars. In the end, hundreds of people stepped up. The George S. and Dolores Dore Eccles Foundation called last Friday night with a last dollar grant, and then our phones began to ring. We received donations from Australia, Sweden, Ogden and St. George. We received donations from our mothers and our children; from people who live here and people who visit. These gifts were supported by family and state-wide foundations and by local government. As we’ve said many times, usually the story of a farm ends with concrete and construction. But sometimes we have a chance to write a different ending. The story of the Osguthorpe Farm on Old Ranch road will continue to be a story of crop cycles and sandhill cranes, of a vast sweep of undeveloped land, of a family and a community that honors this place we call home. We want to thank the Summit County dispatch office and DNR/Wildlife Resources for their help this past Saturday. A badly injured mother moose and her calf had attempted to take up residence at our house. The potential for a variety of bad outcomes was obvious and because they were blocking access to our entryway, we felt compelled to call for the cavalry. The dispatchers put us in touch with DNR/Wildlife Resources who contacted us immediately. Seven officers, seven trucks, one wildlife biologist, one horse trailer, one rifle with tranquilizers three shots fired. We all lifted mama and baby into the horse trailer. When they were awake and stable, they were on their way to a safer location with less snow. We hope for Mama Moose’s speedy recovery, and we send special thanks to DNR officers Moser, Brailey, Olsen and their colleagues. Special Counsel Robert Mueller has concluded his investigation. Now, somehow, half the people in the country are disappointed that the president of the United States is not a Russian puppet.